If you are looking for either Coach or HGV training services within Gloucester then you have come to the correct place. Here at Paul Williams Training Services, we are able to provide individuals with professional, reliable and up to date training programmes for any vehicle which is required. 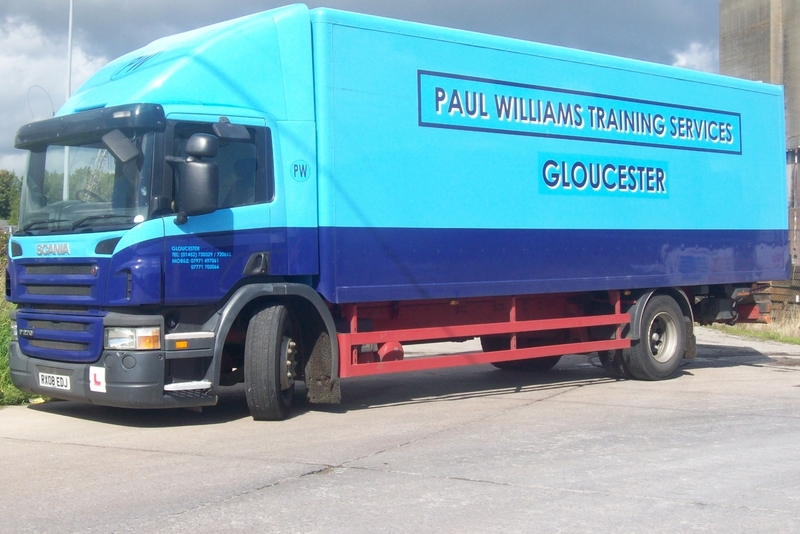 Coach and HGV Training has been the ticket to a rewarding and successful career for many drivers across Gloucester; it could be yours too by undergoing the Coach or HGV training with us here at Paul Williams. Here at Paul Williams Training Services we offer low-cost, high-quality training courses for those who have a vision of driving coaches or HGV’s as a career. The team here at Paul Williams Training Services are dedicated to providing our customers with all aspects of vehicle training. We have a wide range of vehicles which allows us to achieve an extremely high pass rate; our friendly and experienced trainers are also a huge aspect of this. Our trainers will provide you with one-to-one instruction for the specific time required, which allows both you and your designated trainer to work together in order to get the best results on your test. The HGV Test – What Does It Include? The HGV test is separated into two sections; theory and practical. The HGV theory test is a two-part test which the candidate must pass before they can begin the practical training. This two part test is made up from a multi-choice exam which examines the candidates knowledge or general highway safety and driving practices. The second part is a hazard perception test which helps to identify how well the candidate can acknowledge hazards on the road. The second HGV test is also a two-part test. However, it is very different to the first part as this one is practical; this part assesses how well the candidate can drive the HGV. The second part to this test is a practical demonstration which indicates that the candidate understands how HGV’s work and what is legally required in terms of safety and regulatory compliance. Being based in Gloucester means we are able to provide our services throughout Gloucester and the surrounding areas, including Cheltenham and Stroud. The cathedral city of the Cotswolds, Gloucester has roots which stretch back to the Roman times and has remained a crucial city in England. With its 2,000 years of history and tremendous landmarks, Gloucester is a city we are more than happy to work within. Gloucester is a city full of amazing landmarks waiting to be discovered; the Gloucester Cathedral is the most famous landmark which Gloucester has to offer; and has been used to film some scenes in Harry Potter. Gloucester Docks is also a popular landmark within Gloucester, as well as Kingsholm Stadium. Here are some reviews which our customers have written on our Facebook page. If you are interested in reading more of what our customers think, you can visit our Facebook page or access them here. When Are We Available To Work In Gloucester? Here at Paul Williams Training Services, our team work Monday – Friday, 8:30am – 4:30pm as well as Saturday 8:30am – 12:30pm. During these hours we are dedicated to helping our customers meet the specific training requirements in order for them to successfully pass specific tests. If you feel as though our Coach or HGV Training Courses could benefit you, please don’t hesitate to get in touch with us today by calling 0845 136 8147 or 07771 702066. Alternatively, you can get in touch via our contact form.